1. All South Africans will be members of the NHI Fund. Participation is not voluntary and you will not be given a choice to join or not join. 2. All South African earning an income will have to contribute to the NHI fund. Details of how this will be done and the amounts are still being decided but all income earners will be obligated to contribute. 3. Contributions will go into an NHI pool. Funds will be used by the government to pay the costs of public and private healthcare provides. They will cover any shortfall. 4. The NHI fund will pay the full costs of a number of treatments, procedures and services. Again, the specifics have not been finalized but there will be no additional costs or co-payments for a range of treatments and procedures. 5. GPs will be contracted with the state and individuals will register with them. There might be limits on how many visits you can make to your GP in a given time period. 6. Visits to specialists will be possible but with strict rules and possible waiting periods. When deemed necessary, a GP can refer patients to specialists that will be covered by the NHI. There will be strict rules however and a waiting period is expected. 7. Those that can afford to wish to can still have private medical cover but they will still contribute to the NHI. People can avoid delays by still having private medical aid. It is also anticipated that a number of new plans will become available for certain procedures. While the intentions of the plan are good there is still much to be finalized. Many people might resent paying for private cover while still having to contribute towards the fund. It also remains to be seen how well the health department can cope with these changes and how well the fund is administered. Hopefully, the poor and low-income earners should have access to better healthcare. National Health Insurance is the government's plan for comprehensive health services for all South African citizens and long-term residents. 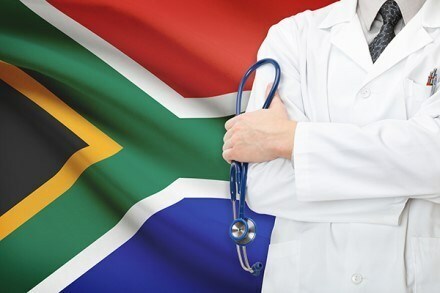 According to the 2017 NHI White Paper, its goal is to create a “single, publicly owned and administered strategic purchaser” that will buy healthcare services for all South Africans public and private providers.